A combination of increased competition, rising food costs because of the pound’s weakness after the Brexit vote and a government apprenticeship levy have hurt operators. Many of the brands are also very similar, and consumers can’t differentiate between them in any way other than price, according to James Child, a retail analyst with EG. Three years ago, Intu Properties Plc, the owner of 17 U.K. malls including two of the nation’s largest, pointed analysts to research from a broker estimating food and beverage operators would eventually occupy about 25 percent of space in malls. New brands would be launched that would help drive revenue for owners, the analysis said. When the beleaguered landlord, left at the altar by two potential buyers last year, announced a turnaround plan in July, food didn’t merit a mention. Instead, Intu’s new hope is that salvation lies in building hotels and apartments at its malls. The stock is down 56 percent in the past year. Any landlord still waiting for food operators to help them out will likely be disappointed. Food and drink operators took 13 percent of newly leased space in shopping malls in 2018, the lowest level in at least six years, according to Radius Data Exchange. A year earlier, it was 20 percent. That’s a much wider decline than in the overall retail market, where food and beverage businesses took 23 percent of newly rented space in 2018, about three percentage points less than in 2017. One of the main problems is that the malls are competing for diners with downtown areas, which offer many more attractions. In London’s West End you are feeding people who are in the area for work, the theater, shopping or just wandering around, said Brian Bickell, chief executive officer at Shaftesbury Plc, which recently leased a former retail center in the Covent Garden neighborhood as a food hall. Malls, by contrast, offer far more capacity than there is demand, according to Ewan Venters, CEO at Fortnum & Mason, the upmarket retailer which recently opened a dining area in the Royal Exchange, a small luxury mall opposite the Bank of England. 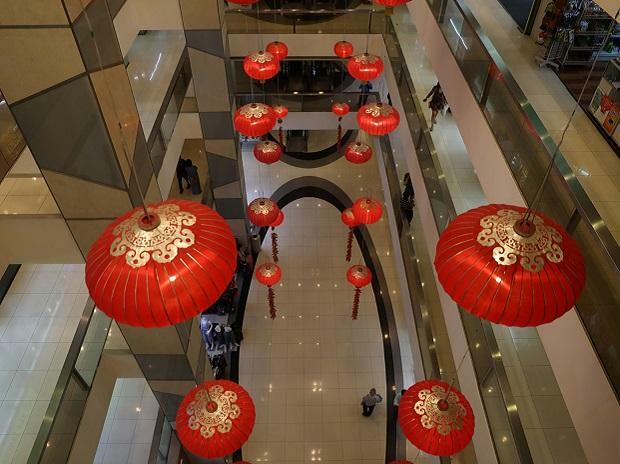 Mall landlords may do well to take a step back and draw inspiration from other types of locations, said Sue Munden, an analyst at Bloomberg Intelligence. Shopping centers aren’t getting much relief from their traditional tenants either after a year of struggle, and it may only get worse. Brands such as Debenhams Plc, Marks & Spencer Group Plc and New Look have already vowed to close stores. A dismal Christmas performance could accelerate the trend and add more vacancies for landlords. As anchor tenants continue to decline, restaurants that want to expand will think twice about renting space in malls, according to Paul Goodale, restaurateur and founder of consultancy Epicurean Holdings. With more doom and gloom on the horizon in the form of Brexit, landlords may need to accept that a boom in food businesses can’t simply replace the bust of retail shops.